Universal Music Group and Google are to launch a new 'premium' music and video site called Vevo that they claim will be the biggest music video site in the US and the world. Launching later this year, Vevo will be an online music video hub "for consumers, advertisers and content owners" that will blend Universal's content with YouTube's video technology and user community. 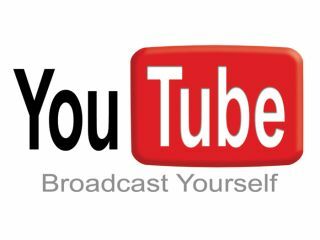 YouTube will provide the infrastructure to power Vevo and host Universal's extensive library of professionally-created music videos on the new site. On YouTube, this content will be exclusively available through Vevo.com and a new Vevo channel through a special Vevo-branded embedded player. "We believe that at launch, Vevo will already have more traffic than any other music video site in the United States and in the world," says Doug Morris, Chairman & CEO of Universal Music Group. "This traffic represents the most sought-after demographic for advertisers, especially as advertising dollars continue their shift from old media to new." "At Google, we are committed to promoting greater innovation and choice and are thrilled to be working with UMG in what will surely be an exciting new service for consumers, advertisers, content creators and the music industry at large," said Eric Schmidt, Chairman & CEO of Google. At launch, people will be able to access Universal's entire catalogue of music videos, as well as artist-generated content and user-generated content hosted on YouTube. Universal's channel is already the most watched on YouTube, with 3.5 billion views. In addition to Vevo, YouTube has renewed and extended its partnership with Universal that allows users to continue creating and watching user-generated videos containing Universal's sound recordings and compositions on YouTube through various territories around the world. The two companies will also share advertising revenue on YouTube and Vevo.